Would you change everything for the chance? In Can I Play?, that is exactly what Keli Stennes does when she moves from small town girl to big time reality. J. Dillard created Keli with a rare desire for volleyball, meaning she will do anything she can to reach her goal: a volleyball scholarship. This novel captures Keli’s journey as she meets decisions and bumps into problems, that involve people surrounding her in her life. I have never read a more inspiring and motivational book. Not only has it taught me more about volleyball, but the desire and motivation from Keli, the main character, is unreal. This story takes place near the Cascade Mountains, where there are school rivalries between small towns and big cities. Two schools, the Falls City Mountaineers and Dallas Dragons are rivalries in almost all sports. Falls City is the small town in which Keli exchanges for the Dallas school. Keli still lives in Falls City, but drives to Dallas everyday for school. This new city is a big step up for a small town girl. Keli Stennes is a whole-hearted girl who has volleyball written all over her. She is the Queen of the Jumps, meaning she can jump higher than anyone else on blocking. She is an aggressive 5’11” outside hitter who can hammer the ball almost straight down during games. “She fed her the ball every moment she could with the same results… kill after kill”(pg.191). She is a loving girl who supports her single mother and grandfather since her father’s death. Keli also has respect for everyone around her. She is very friendly to her old and new classmates and teammates. Keli’s mom, Cindy, helps her make the right decisions to guide her life in the right direction. Cindy is always right by Keli’s side with love and support as she goes through her journey, becoming a fonomanal volleyball player. 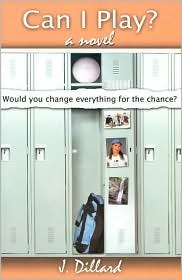 Growing up in Falls City, Cindy is used to the “tight population of 800” (9), but when Keli changes schools, it opens a whole new world she’s never been in, pushing her to meet new people. Being a widow, Cindy tended to feel lonely at times but started to find love again after reuniting with an old friend. Ashley is the best setter in the state, and also Keli’s best friend. Ashley faces some difficulties of her own and thankfully has Keli to catch her when she falls. Like Keli, one of Ashleys parents pasted away when she was a little girl. But her dad and Keli’s mom oddly enough became an item. Ashley has always been a Dallas Dragon. When she and Keli met each other at summer camp, they instantly became close and she is the one who convinced Keli to change schools. All is well when they both get on varsity until Ashley’s cousin becomes very sick and ill due to bad decisions with dangerous people. Back at Falls City, Kelli was the celebrity star of the team. After being convinced by her best friend to change schools, her “old” friends turn on her and she makes new ones. But then she is stuck with the terrifying decision to choose between two boys, one “she knew her whole life (and) a true real friend”? (242). As Keli makes her way onto the Dallas varsity team she goes to the coaches office every day after school to receive advice and knowledge to improve her game. She also even takes instruction from Ashley, her best friend who is the setter on the varsity team as well. 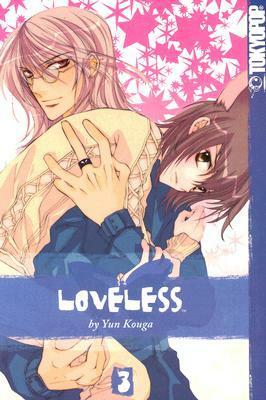 Suddenly Ashley’s cousin Greta becomes sick due to fooling around with a boy she was forbidden to see. But after she heals, all is good, there is peace between schools, but now there is a new problem. A BIG one. Through my eyes, the theme of the story was to never be afraid of failure. I think this an important theme because a lot of us are always afraid to either be ourselves, put ourselves out there, or take risks because we don’t know what the outcome will be. Life is about being yourself and letting others put themselves out there and not to judge them back. This captures the story through my perspective. Personally, I really enjoyed reading this book. I like how it is about my passion volleyball. Keli is a girl who has an incredibly rare desire for the game. It is truly an inspiration. The way the varsity girls played the game in the novel made me think I can do anything if I set my mind to it! I would recommend this book to anyone who is passionate about volleyball. Reading this book reminded me why I love the game so much. 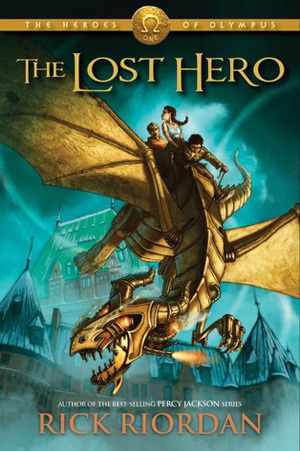 Posted on August 31, 2013 by Kyle H.
In The Lost Hero by Rick Riordan, a teenage boy named Jason ventures through the USA accompanied by Piper and Leo, his two closest friends. While trying to save the goddess Hera, these children are chased and attacked by a number of monsters and demons who were sent by the earth goddess Gaea. Jason is also on a quest to find his true identity, to find out why he was sent to America, and where he was before. Jason has no recollection of his life before being dumped on a school bus in the middle of a field trip to the Grand Canyon. In this thrilling tale, secrets will be spilled, narrow escapes will be made, and identities will be told. I give this book a 9.5 out of ten because of its amazing descriptive detail and many “on-the-edge-of-your-seat” moments. Rick Riordan has written two sequels to this book: The Son of Neptune and The Mark of Athena. The next book in the series, House of Hades, comes out in October. I am currently reading the Son of Neptune which is also a great book that I recommend and I plan to read The Mark of Athena once I am done with this book. Rick Riordan is a great author and I have enjoyed many of his other series, like The Kane Chronicles and The Olympians. The amazing story of endurance and troubled relations, See What I See was so very interesting because of the well thought and creative plot. Gloria Whelan, writer of See What I See, brings a lot of feeling to her story and makes it emotionally appealing to everyone. I found this book even more intriguing because of my favorite character, Kate Tapert. This young girl creates an even more unpredictable set-up and her reactions alone are what I continue to read for. Kate was accepted into an art majoring college, miles away from her trailer home and she needed a place to stay. Her only choice was nothing but to stay with her long-forgotten, divorced dad for the year. As she continues to pursue her dream to be a famous artist, Kate has the attitude of a pickle jar and a heart of gold. Dalton Quinn, Kate’s father and a very famous painter, is also one of main problem-makers in Kate’s life. After disappearing and falling seriously ill, Dalton falls deep into his hole of miserableness and loss. He receives numerous letters and paintings from his beloved daughter not bothering to write one back. When Kate moves into his house without notice, he becomes even more stubborn and ill. His personality is stubborn and he repeats to Kate, “I don’t need anyone to do things for me, certainly not an amateur artist…” (Page 43). His illness takes over him and leaves Kate to wonder if it was alright to leave her father home alone during the day or continue to attend art school. His attitude is one that stands out and catches my attention. Ms. Tapert is the mother of Kate and waitress at a hotel restaurant in Connecticut. After her husband left her and ran to another state, she’s been working everyday as a waitress and collecting tips to pay off the rent on their trailer house. She is as stubborn as Dalton and even replies saying, “I’m not going to move into a house paid with Dalton’s money” (Page 16). Even with a chance to receive some of Dalton’s money, Ms. Tapert is too proud to receive any amount. She’s always reluctant and despised even the idea of her daughter moving into Dalton’s house. The complicated relationships of all these characters make a vivid scene that greatly impacts each other. Gloria Whelan did a wonderful job creating different situations where opposite personalities and ideas combine to create one. As you read on you can figure out the relationship of the family altogether and how Kate would figure out how to manage her life and dreams at once. Woven throughout the book, Gloria Whelan has added in the idea of pursuing your own passion and finding your own path to complete it. Staying determined and accepting the many challenges is one of the great lessons that I learned from reading this book. Kate Tapert was used as a great example for this and everyone can find some way to relate to her. Gloria Whelan did a great job explaining each scene and its story really captivated each moment. 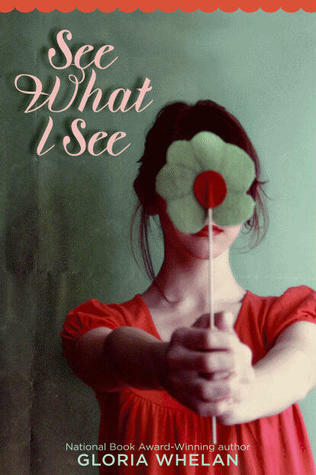 Read Gloria Whelan’s See What I See to see if Kate really does stick to what she loves, and what her father truly thinks about Kate and her mother. I encourage everyone to read this because it is truly inspiring and has a strong moral in it. See What I See is a great book to read during your own time and to learn more about what your own passion is and seeking it. Posted on August 30, 2013 by Kelsey H.
I saw this movie on the deck of a cruise ship during spring break in the Caribbean. Not exactly the ideal spot to watch a movie about a boat sinking in the ocean! But I loved the movie so much that when I got back from my break, I immediately began reading the book Life of Pi, by Yann Martel. Watching the movie immediately drew me in to Pi’s world, and I just had to read the book! Let me just give you a taste of what this phenomenon is all about. Life of Pi tells the story of an Indian boy named Pi, who loves animals and God. His family decides to move to Canada, and on the way, their ship sinks leaving Pi on a lifeboat with a hyena, zebra, orangutan, and a giant Bengal tiger. The second half of the book is about Pi’s struggles to survive in the middle of the ocean. Pi learns to abandon his vegetarian ways, train the tiger, and become a master shipman. The story is dripping with imagery that is so vivid it will make your mouth water. Life of Pi is so powerful that I had dreams about giant whales, tigers, islands, lifeboats, and sunsets for practically a week! I have such an appreciation for Yann Martel because of Life of Pi. He is the most amazing author ever, and definitely deserves all of the awards he received! In the movie Life of Pi, however, the ending is such a Hollywood ending that I feel bad for Yann Martel. Yann Martel specifically wrote the ending to show the brutal truth of life to the readers, and if you want to find out his lesson, then you’re just going to have to read it yourself! If I personally was directing the movie, I wouldn’t dream of changing the ending, because that is the whole point of the story. However, Ang Lee did do an amazing job because the scenery was beautifully artistic, casting was perfect, and computer graphics were out of this world, though, so I did still really love the movie, just not as much as the novel. Anyways, I know that this review doesn’t even begin to express how amazing this story is, and it cannot possibly live up to Yann Martel in any shape or form. 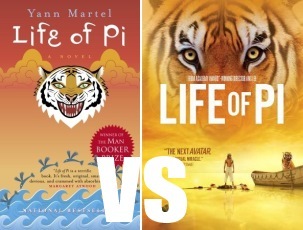 Life of Pi is the most amazing book I’ve ever read– literally, I found myself bawling my eyes out at some points! I want more than anything for everyone to read this book! You will never see tigers, humans, the ocean, animals, religions, or life the same ever again. Yann Martel strikes you with so much wonder and awe it is unbelievably breathtaking. Please feel free to comment below as I know there will be many since this is such a renowned book! 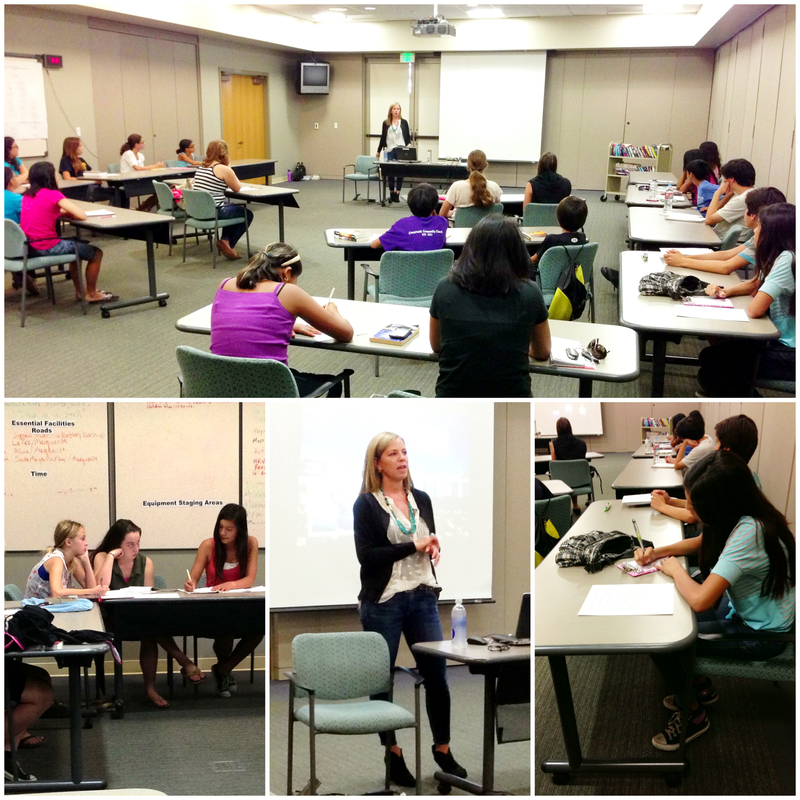 Posted on August 29, 2013 by Riley W.
Earlier this month, an exceptional author came to Mission Viejo City Hall to talk about the basics of writing a story. Alyson Noël is a very well-known author who writes books for young adults. She started her career as a flight attendant, but after the incident of 9/11, she became a writer. Since she was twelve years old, Alyson dreamed of being a writer. The Immortals, The Soul Seekers, and The Riley Bloom Series were some of the many books she has written. Alyson Noël began her presentation by telling the audience about her early life. Her family was very poor and she took writing classes to benefit her writing when she was a teen. Her first book, Faking 19, took Alyson fifteen years to write. She kept on revising the book since the New York publishers kept rejecting it because it did not include a conflict. Now, Alyson Noël has written a lot more books that have been sold in a million copies, written in about fifty languages, and sold to an estimate of thirty countries. Alyson also gave the audience many tips about writing. She explained that all stories need characters that transform, have goals, and have motivation. In addition, she advised that every plot must have a conflict and a theme. In my opinion, her speech was very inspiring and informative. She said that writing is harder than it looks, and there is nothing more intimidating to a writer than a blank page. In addition, Alyson Noël recommended some books on writing such as Save the Cat by Blake Snyder, Story by Robert McKee, and On Writing by Stephen King. For those who do not like to write or are not very good at writing, Alyson Noël’s speech might change your mind! Posted on August 29, 2013 by Megan V.
Are you interested in the upcoming Thor movie, or any other movies associated with the other Asgardians, such as Odin or Loki? If so, then The Lost Sun by Tessa Gratton is the perfect book for you.This book is the first book of The United States of Asgard series, where the Norse gods rule alongside humans in America. For example, Odin is the vice president–always. However, when the most popular god of them all, Baldur, disappears, Soren, a warrior with an uncontrollable power of strength, and Astrid, a celebrity prophet, go on an expedition to find him. Even so, Soren learns that saving this god could change his destiny, but could also make him lose the things that he loves the most. And writing some very surprising twists for the readers, including a very unexpected but satisfying ending. I would recommend this book to fans of Norse mythology or of any Rick Riordan book, such as Percy Jackson or the Kane chronicles.However, readers should note that since Soren is the narrator of the story, he talks about some things that might be a bit upsetting for others, such as having a power that seems very great, but is actually the world’s worse curse. In the beginning of the book, he says that he and his mother had “both dreaded the day Dad’s curse would flicker to life” (Gratton 1) inside of himself. However, readers should learn now, if they haven’t learned already, that anything you have is a gift, rather than a curse. Finally, Gratton creates some unforgettable characters whose stories share some key vaules and morals that are important in everyone’s lives.